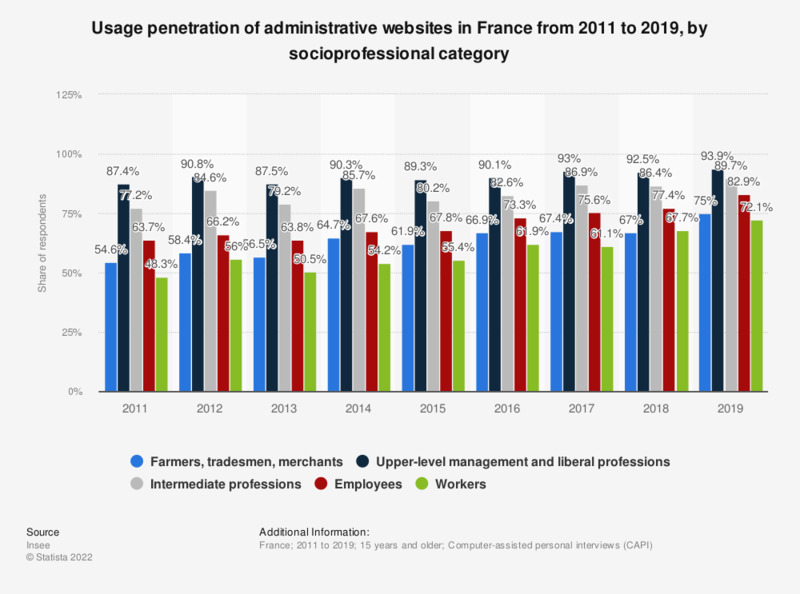 This statistic represents the usage penetration of administrative websites in France from 2011 to 2015, by socioprofessional category. It reveals that the share of employees using online administration increased by almost seven points during this time period. Scope: people living in an ordinary household in France (including overseas departments and territories).